(Reuters) - U.S. regulators are investigating Alibaba Group Holding Ltd's <BABA.N> accounting practices to determine whether they violated federal laws, the Chinese e-commerce giant said, sending its shares tumbling nearly 7 percent on Wednesday. 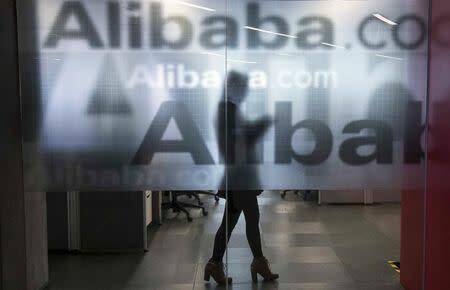 Alibaba said the Securities and Exchange Commission launched the investigation earlier this year. Questions about its growth rate and its relations with affiliated companies have dogged the firm for years. The latest investigation highlights how far Alibaba has to go to improve transparency, as it also fights sales of fake items, while a continuing acquisition spree creates uncertainty over its earnings. It was not immediately clear what prompted the SEC investigation. Alibaba said that it was cooperating with the authorities, and that the SEC advised it the investigation should not be seen as an indication the company had violated federal securities laws. The SEC focused on the accounting for logistics firm Cainiao Network, which is around 47 percent-owned by Alibaba, accounting practices applicable to related-party transactions in general, and operating data from its annual "Singles' Day" sale, according to Alibaba's annual report filed on Tuesday. Some merchants in China have questioned whether results from the Nov. 11 Singles' Day promotion, which have exceeded the combined sales of the Black Friday and Cyber Monday shopping events in the United States, are as high as reported by Alibaba. Last year it reported about $14 billion in transactions on Singles' Day, when shoppers are encouraged to treat themselves to special deals. Cainiao, started jointly in 2013 by Alibaba, Yintai Holdings, Fosun Group, Forchn Holdings and five major delivery companies, has in the past been unconsolidated in Alibaba's financial statements, raising questions among some investors and analysts. Alibaba said its latest annual report disclosed for the first time Cainiao's revenue, net loss, assets and liabilities. Alibaba spokesman Robert Christie said those figures are "exactly the kind of robust and transparent information that will address the underlying issues in SEC's inquiry". There are no other undisclosed SEC inquiries, Christie said. Through Cainiao, Alibaba is trying to take a lead role in developing China's fragmented package delivery industry, as e-commerce spreads beyond urban hubs and requires a more robust logistics network. In partnership with delivery businesses, Cainiao crunches reams of data on everything from order trends to delivery routes and weather patterns to increase efficiency. Last March, Cainiao completed its first funding round, raising around 10 billion yuan ($1.53 billion). Investors included Singapore's Temasek Holdings [TEM.UL] and GIC Pte Ltd [GIC.UL], Malaysia's Khazanah Nasional Bhd [KHAZA.UL], and China's Primavera Capital. Noted short-seller Jim Chanos of Kynikos Associates, who has been betting on a huge decline in Alibaba shares, last year called Alibaba's delivery and warehousing infrastructure "a risk", according to a report he sent out at a conference last November which was seen by Reuters. 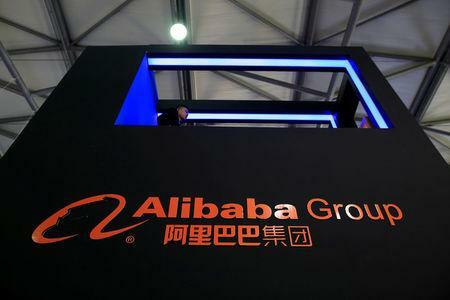 Alibaba "appears to control Cainiao via 48 percent stake and consolidates the results via equity method", Kynikos said. "Cainiao's business is capitally intensive. 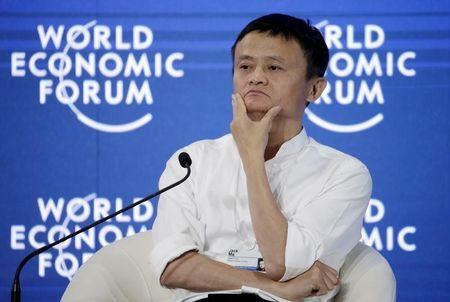 It is unclear how much of this capital will be spent by Alibaba versus the delivery partners." Hedge-fund manager John Hempton of Bronte Capital, who has been shorting shares in Alibaba, said the company's accounting for acquisitions was, "The next shoe to drop". Up to Tuesday's close, Alibaba's stock had fallen 12.3 pct in the last 12 months. On Wednesday it fell 6.8 percent to $75.59.